Thanksgiving began in 1621 as a celebration of a good harvest. Since that time, it has become a national day of giving thanks for all of the gifts we have been given. One of the gifts that we have received is our extended “self-storage family” that reads our newsletters, books and articles, and offers good, intelligent conversation about the self-storage industry. So we’d like to take a moment to thank you for being a part of our family. We’d also like to wish you a great Thanksgiving, with terrific food, family and friends. This is a special holiday that has not been too commercialized and focuses on positive bonding instead of giving gifts. Have a Happy Thanksgiving! 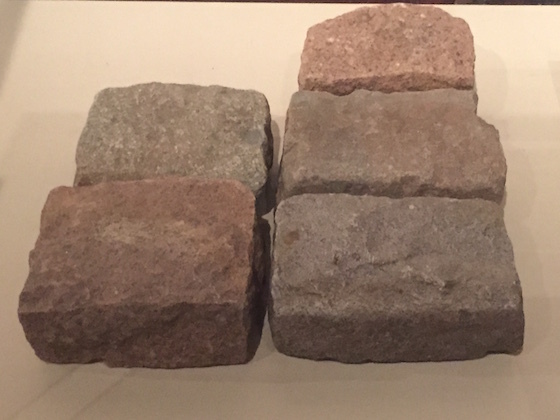 This is a photo of granite paving stones that were used to build roads in 1875. The concept of road construction is an important one if you own a self-storage facility, as your asset is basically metal buildings surrounded by roads and parking areas. So what are the options for roads that replaced these antique paving stones? Concrete is the best road surface for a self-storage facility. But it’s also the most costly. It lasts forever, unlike its cousin “asphalt” that deteriorates over time. Concrete is preferred by all bankers, appraisers and buyers, and is a fixture of the best self-storage facilities to be found. There’s nothing bad you can say about concrete, as long as you’re not having to write the check when it’s first poured. Asphalt is the second choice behind concrete. It looks great when new, but gradually becomes grey and develops “gatoring” and potholes over time. It is really made up of two different parts 1) the road base which goes underneath and 2) the asphalt overlay that goes on top. Potholes are not a failure of the asphalt, but an indication that the road base has failed to support the weight. Most banks, appraisers and buyers are fine with asphalt as a road surface, but most sellers do a “skim coat” or “seal coat” prior to putting the property on the market or refinancing it, so that the roads develop that deep black color. In addition, fresh striping is essential to complete the look, as it contrasts well with the black asphalt. Now we’re moving on to a road surface that you can sometimes get way with but that nobody much likes, and that’s the stuff underneath the asphalt known as “road base”. Road base is basically crushed lime aggregate. It’s tough stuff and grass rarely can grow in it due to the lime. However, it’s not the polished surface that most bankers, appraisers and buyers desire, so it significantly reduces the value of the property. When you’re looking at a self-storage facility with road base, make sure that you are not paying top dollar, as this is not top dollar material. The worst road surface for a self-storage facility is dirt. You see that frequently in rural self-storage facilities, and it relegates the property to a certain customer and rent level that keeps the value much reduced. We would never buy a dirt road self-storage facility, but if the location was great, you could always pave those dirt roads to bring it up to a higher level. Self-storage is all about roads. Learn the options and the values they create. Dorothy may have followed the yellow brick road, but you should be seeking more like concrete and asphalt – and occasionally road base. This is a photo of a “Golden Doodle” which is a cross between a Golden Retriever and a Poodle. 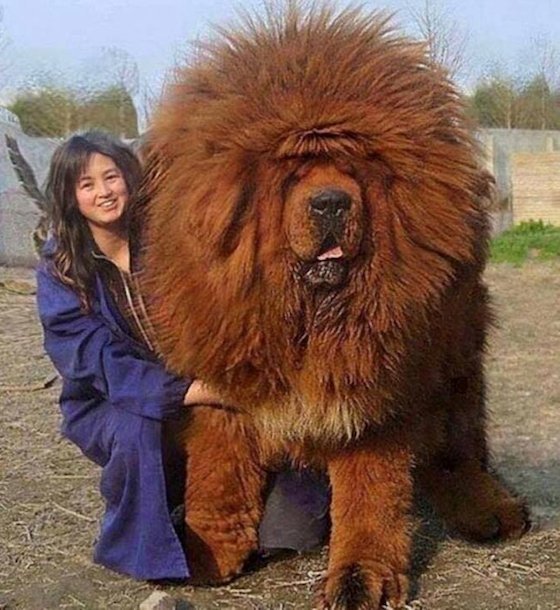 The owner has teased its hair to such a degree that it no longer resembles a dog, but more like an orangutan. If you saw this dog coming, you would run for the door, even though it’s not considered a dangerous breed of dog. 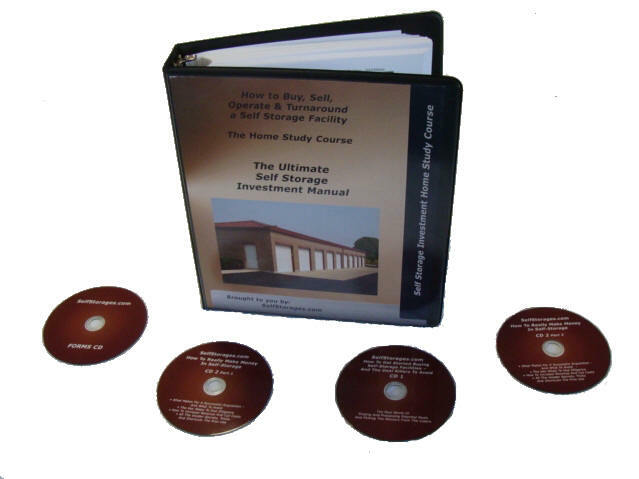 Similarly, the presentation of a self-storage facility is often as important as the substance. So how can you have a great presentation? It drives us nuts that many multi-million dollar self-storage facilities fail to spend the money for a great sign out front. We’re not talking about LED, but simply a nicely sized back-lit sign that has high visibility both night and day. After tall, this is your calling card and you always have something to rent, right? A sign out front is like a giant salesman who works for free after you pay the first bill to build it. Have you priced flowers lately? Or shrubs and ornamental trees? They’re cheap. And they look so great at the front of your facility. It sends a signal to the customer that “we care”. And that signal translates into other “we care” departments, like customer service, attractive pricing, maintenance and security. It takes so little to keep a self-storage facility well mowed. All you have is your frontage on the road, some grass around the roads, and that’s it. We’re not talking a football field here. But don’t just stop at mowing. You need to make sure that all curbs are edged and that that all roads are free of any vegetation by using a liberal dose of Roundup. There are no excuses for not delivering this type of professional grade mowing appearance. It’s cheap and easy, and everyone knows how to do it. If you see a single piece of litter on the ground, make a big deal over it with the manager, because it is never acceptable to see that if you’re a customer. The manager should tour the property several times a day – either on foot or in a golf cart – and make sure that there is not a shred of litter to be found. All buildings, roll-up doors and roofs should be nicely presented. Henry Ford used to repaint all of his buildings annually, because he thought that paint was the best bang-for-the-buck in the world. Ford did pretty well with his car company, so you might want to consider his advice. You wouldn’t leave your house without combing your hair, right? Well, don’t let your self-storage facility appear unkempt either. And you don’t get paid to comb your hair, so the self-storage facility appearance is many times more vital.